The primary purposes of a Heating, Ventilation, and Air-Conditioning (HVAC) system is to provide adequate ventilation with filtration and maintain proper air flow, heating, and cooling to the interiors, and thus help achieve good indoor air quality. 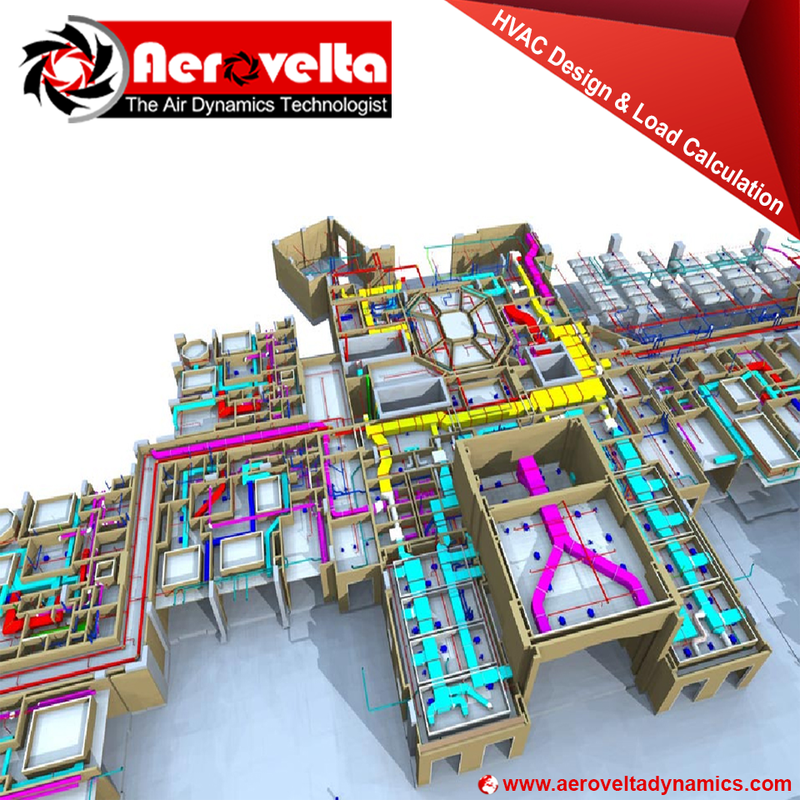 We have professionally qualified team for heat load calculations, designing, cost estimation & work execution, which provide you a hassle free HVAC design and help you, attain ultimate comfort. Aerovelta Designers designs as per Center of Dieses Control (CDC) standards for design and testing of Isolation rooms in health-care facilities. Standardization regarding airborne infection (negative pressure) isolation rooms is an important task not only for improving public health across national boundaries, but also for controlling health care costs, as isolation room suites often require considerable resources to construct and maintain. An important step in moving toward international standardization is to come to a consensus about what exactly is proper and adequate function in a negative-pressure isolation room. 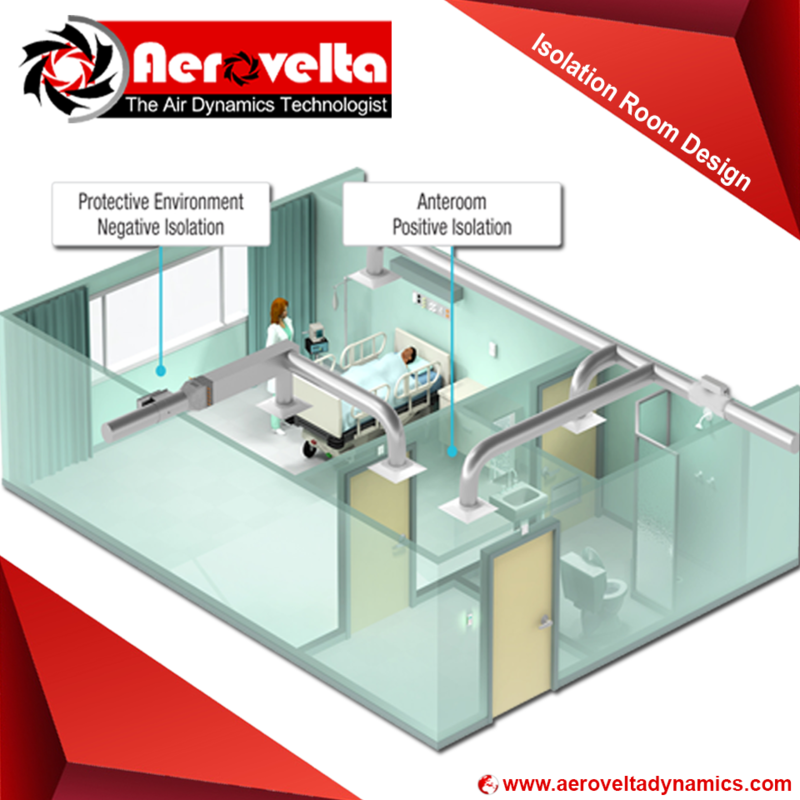 In our project we give the best practice in design and performance of negative pressure isolation rooms. Personnel selected to work in cleanrooms undergo extensive training in contamination control theory. They enter and exit the cleanroom through airlocks, air showers and/or gowning rooms, and they must wear special clothing designed to trap contaminants that are naturally generated by skin and the body, In our project we give the best practice in design and performance of Clean Rooms. Fume hood & Biological Safety Cabinet Exhaust systems must be fully integrated with the heating, ventilation and air conditioning (HVAC) system of the laboratory and the building automation systems (BAS), to maintain the pressurization requirements of the laboratory and the required fume hood performance. 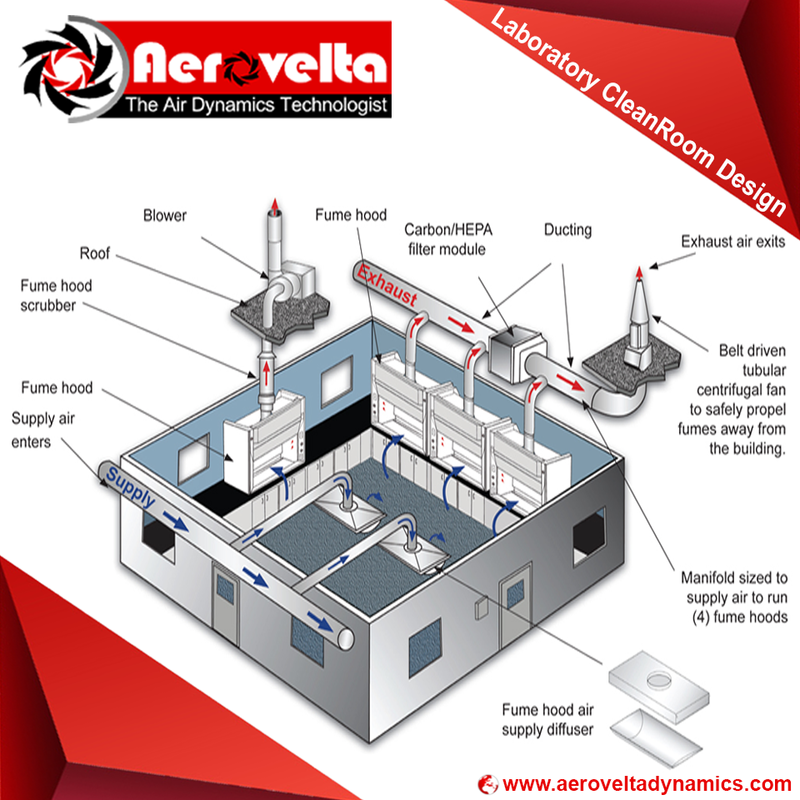 Aerovelta have the vast expertise in such kind of exhaust designing over the past 06 years we have designed more than 25 projects of Gulf for exhaust designs of Fume hood’s & Biological Safety Cabinet’s. With increasing trend of energy demands, there are a lot of concerns over energy supply and it is a major issue for the policy makers. Globally, buildings consume about 40% of the total world annual energy consumption and most of this energy is used for the purpose of heating, ventilation and air conditioning (HVAC) systems. 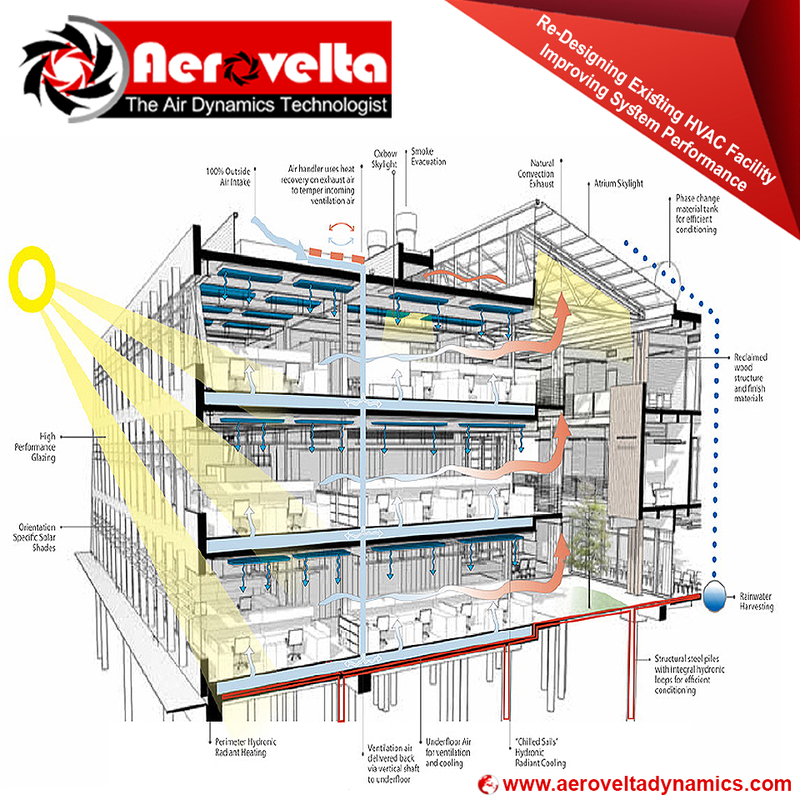 Normally in buildings, more than 50 % of the energy is consumed by the HVAC systems, especially in hot regions. 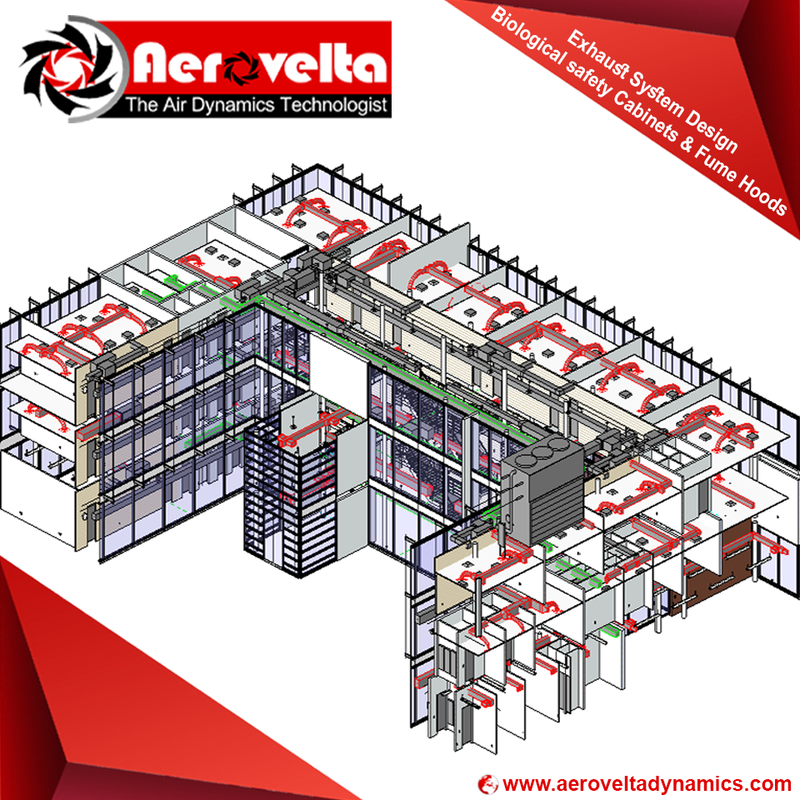 Therefore, Aerovelta always strives to find new energy recovery technologies to enhance the performance of the HVAC systems in terms of air quality and energy consumption level. 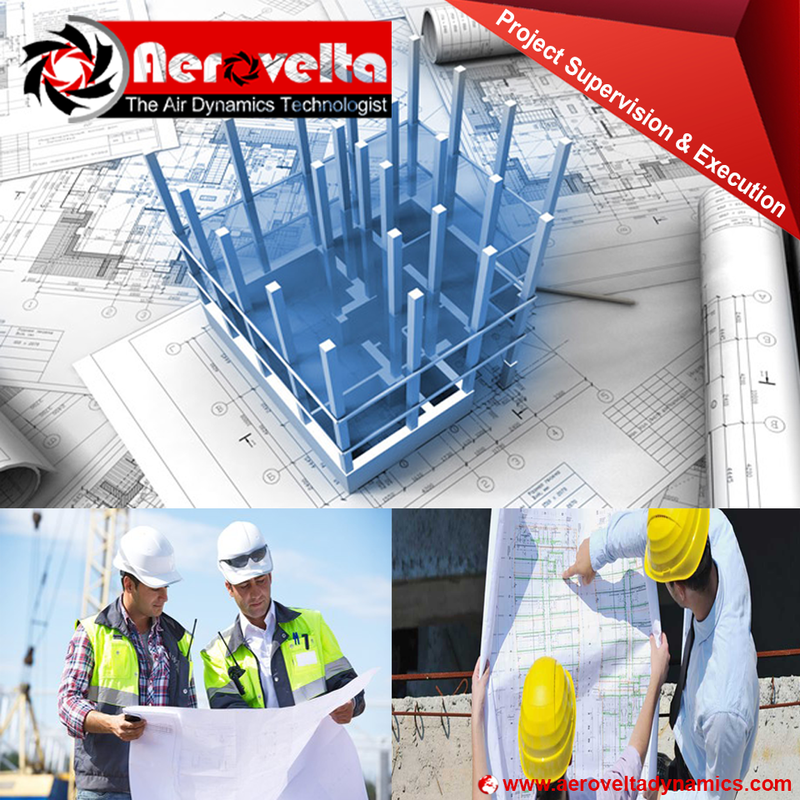 Our Project Supervision services can be complemented with comprehensive quality control services. This guarantees that the materials used, all equipment and systems are of good quality, function well and conform to the standards. Our supervisors can also act as safety coordinators for the project − to make sure the project site is a safe working place for everyone.